Pugs are not well-suited for life in the summer sun, and it’s important to make sure your pug stays cool on these hot days. 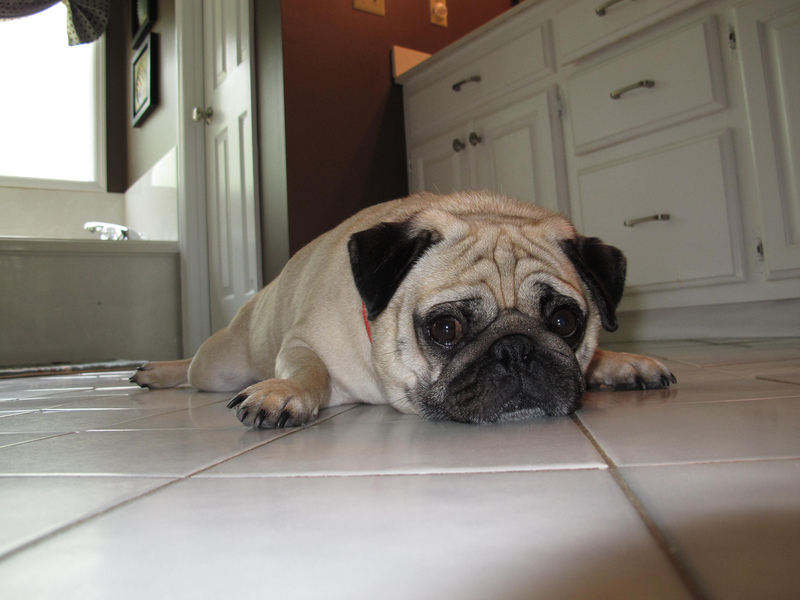 One of our pug’s favorite ways to cool off after playing outside is by laying nice and flat on our chilly kitchen tiles. It looks like other pugs have adopted this strategy too!